S-T-R-E-T-C-H That €! 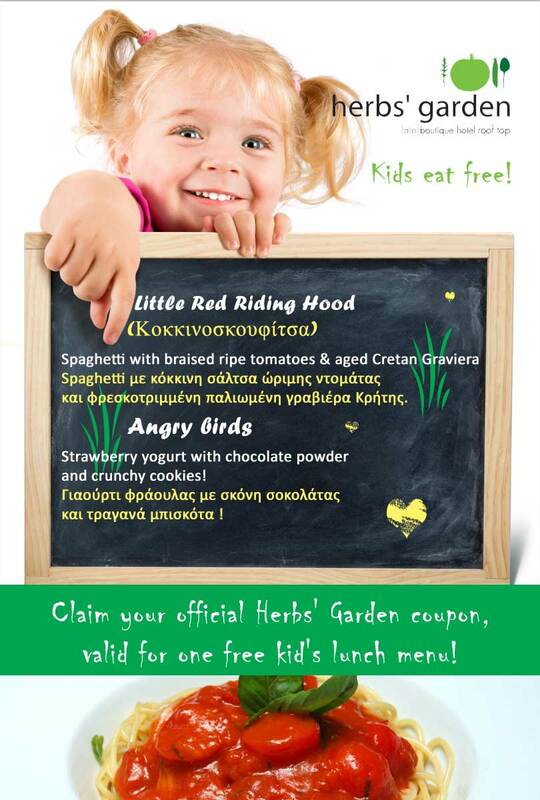 Kids eat FREE at Herbs’ Garden! is a coupon offer, where Facebook fans of Lato Boutique Hotel can claim one coupon per day. There are two menus to choose from, which both include a main, salad and a dessert. Angry Birds (dessert): strawberry yogurt with chocolate powder and crunchy cookies. This is certainly a delicious offer, guaranteed to please little guests.